The perfect beer is a harmonious blend of art and science. Automation can help by performing the measured and repetitive tasks while allowing brewers to focus on more creative, interesting and rewarding aspects. When Sadler’s Ales, a historic Black Country brewery, started to grow its business, it decided to adopt an automated process control solution from Mitsubishi Electric to improve productivity and make the quality of its craft beers more consistent. 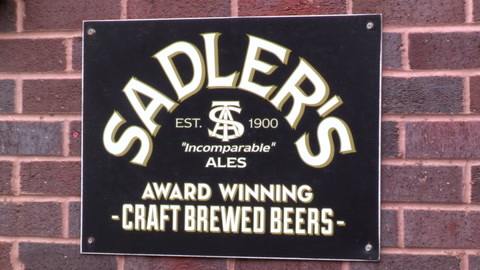 Sadler’s Ales located near Stourbridge, in the Black Country has been crafting beers since 1900 and is currently run by Chris Sadler, a fifth-generation brewer. Popular brews in the company’s unique beer portfolio take reference from local subjects such as the Peaky Blinder range, which has proved an instant success nationwide. The overall objective was to create a higher capacity brewing process that could be monitored and controlled more easily by the existing staff. Hence, Sadler’s contacted local specialist Clarke Controls & Distribution to help achieve the objective. On first inspection the technical team from Clarke noted the absence of any formal documentation, such as piping and instrumentation (P&I) diagrams. To address this issue, the team suggested an analysis of the plant to reverse engineer a new process control solution. Clarke Controls & Distribution turned to its preferred process automation vendor Mitsubishi Electric to help specify the ideal automation system components. First, Clarke Controls & Distribution engineers produced an accurate P&I diagram, which allowed Mitsubishi Electric automation engineers to determine the number of inputs, outputs, analogue signals, as well as the presence of critical electric motors (mainly pumps) where variable speed control would be required. The inverters and I/O units were then connected via a CC-Link industrial fieldbus network, to a Q series Mitsubishi Electric programmable logic controller (PLC), which is designed to be ideal for building medium to large-scale control systems. The PLC is housed in a robust metal enclosure, linked to a GOT2000 Human-Machine Interface (HMI) that displays live information and alarms. As a result, brewers can monitor the equipment, as well as adjust the processes parameters live on the touch-screen operator terminal. Whilst the reverse engineering task required advanced skills and expertise to complete – the operator controls needed to be the exact opposite; hence the bespoke control system was designed for ease of use and to streamline brewing operations. The benefits from the automated control system were immediate, as production skyrocketed by 300% in less than a month, resulting in 650 new barrels available every week, corresponding to approximately 200,000 pints of beer. Image 1: Sadler’s Ales located near Stourbridge, in the Black Country has been crafting beers since 1900. Image 2: The growing demand for Sadler’s beers led to the extension of the brewhouse which was then automated with the brewers’ needs in mind. Image 3: One of Sadler’s most popular brews is the company’s Peaky Blinder range. Image 4: Brewers can monitor the equipment and adjust the processes parameters live on the touch-screen GOT 2000 HMI. Image 5: The various pumps, compressors and fans in the brewing system were fitted with either Mitsubishi Electric’s FR-E700 compact variable speed drives, or where appropriate the FR-F800 model.